I’m working with @tomis on some visualization about our network and how it works. 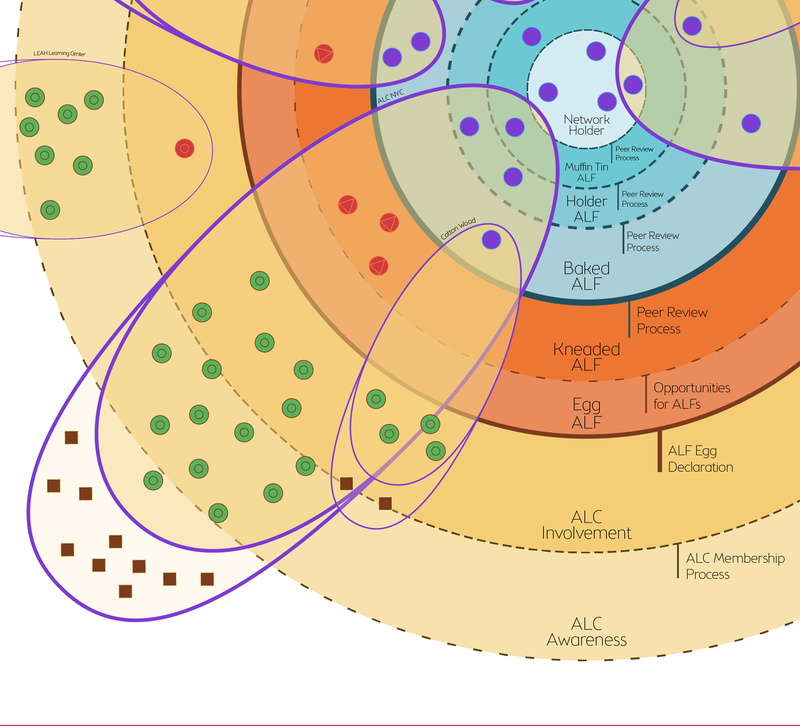 Here is an alpha version of my interpretation of the ALC Network. 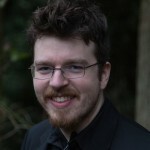 See the full size image here. What about an ALF who is also a parent? It might be worth popping some brown rhomboid corners out from behind a purple circle. I think it would be good to show that parents are not only on the outside, but even at the very center as network-holders. Also, an edit suggestion for your *note about the parents. 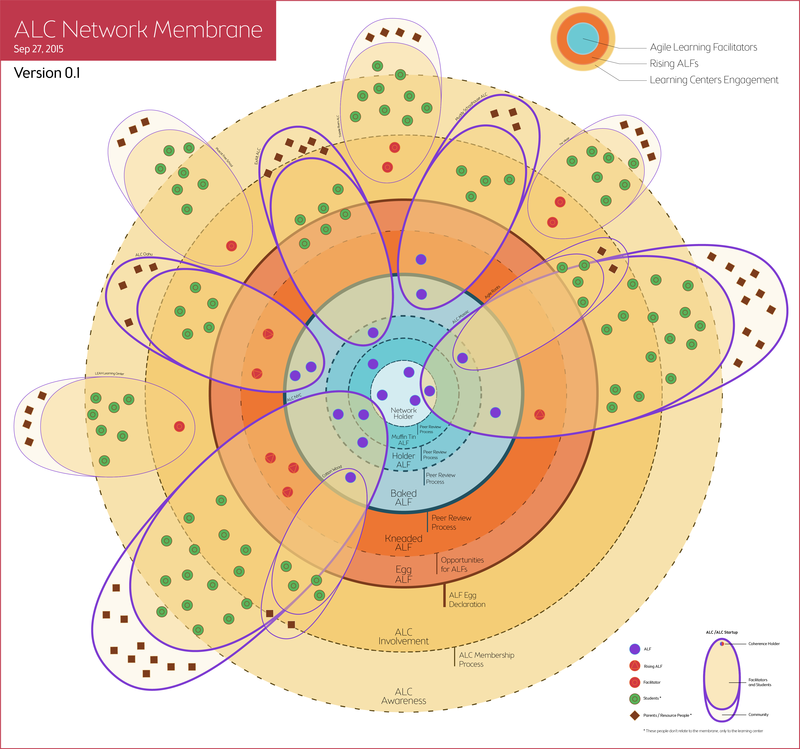 That they relate to their learning center, not the NETWORK (rather than membrane). Nobody really relates to the membranes much yet. Oh… and what about alumni? Or ex-parents / ex-students / ex-staff especially of ex-ALCs. I’m thinking of Will and Eric Harris-Braun as an example of people who seem like they should be on this map of our community in some way even though they’re not connected to a running ALC at the moment. I know it’s hard to come up with a way to include everything. I’m just planting seeds for continued scheming about to visualize all this. 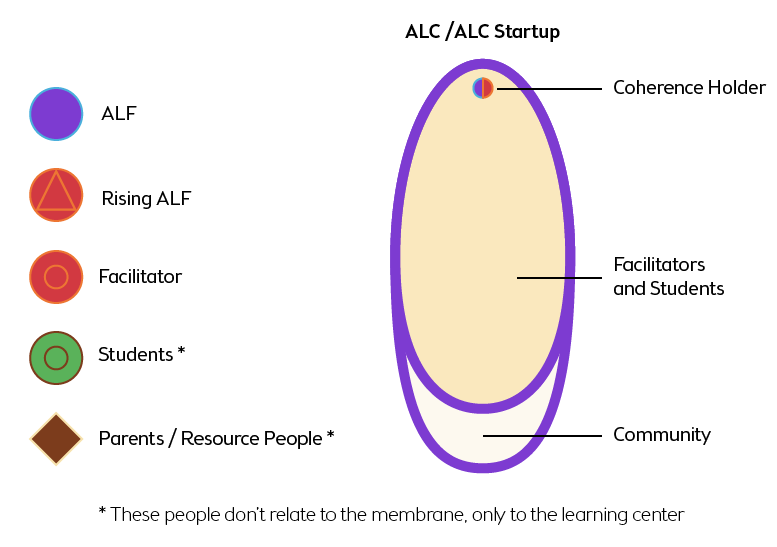 I think a diamond over/behind the ALF circles (not just purple, but parents would be facilitators or rising ALFs first) is a good idea. For now, I think alumni could be grouped with an additional role/category, which I would propose as “Supporters /Amplifiers”. Alumni could go into this category and flow in the ALC Involvement Ring without being inside any particular ALC.